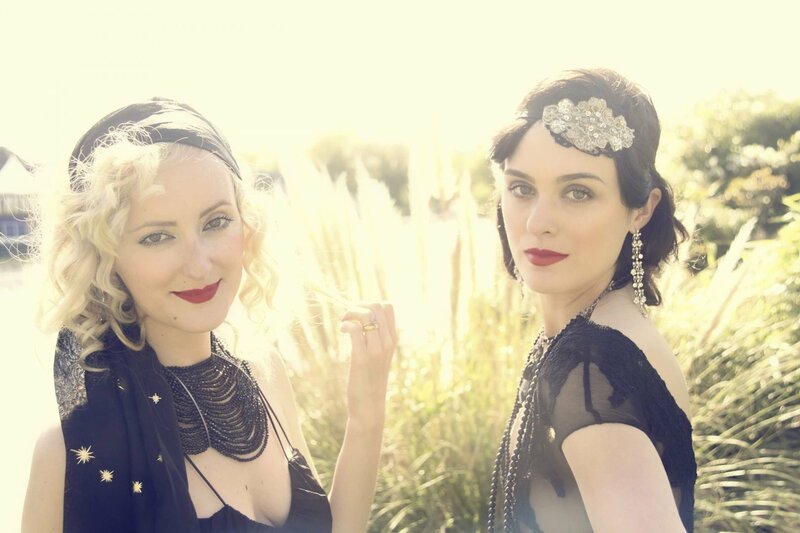 The Valentinas are a sparkling, vintage-inspired singing duo. 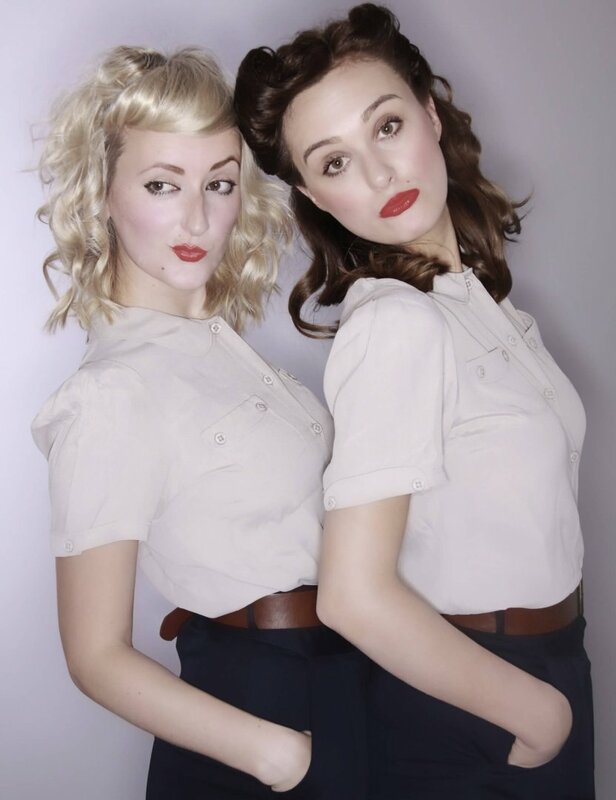 Inspired by their passion for 40’s classics and vintage fashion, the girls bring a smooth vocal and luxurious look to every performance. The girls have a superb collection of songs; from smooth and relaxing swing/jazz classics, perfect for gentle background mood music, to more upbeat party numbers ready for the dance floor. 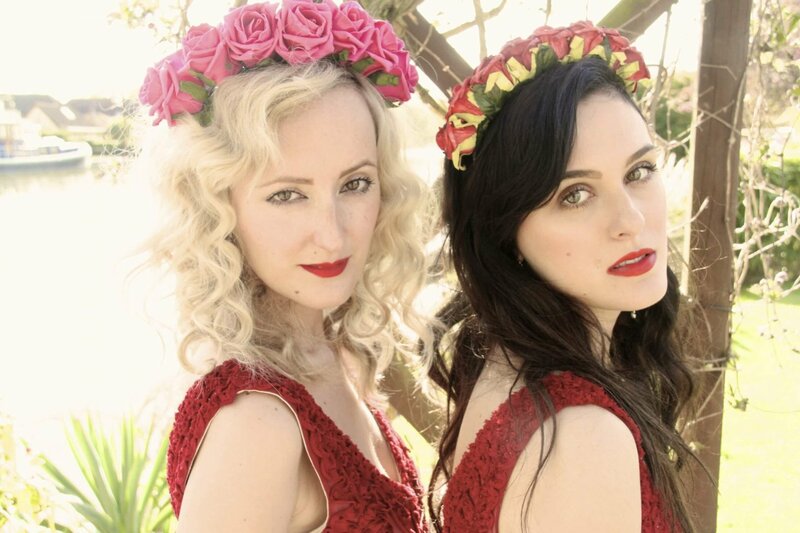 From the upbeat and buzzy, to the more subdued and romantic, The Valentinas are accompanied by specially mastered backing tracks recorded live with a ten-piece band. The girls are a pleasure to work with, oozing style and sophistication in every show. Recent clients include – The Ritz Club, Harrods, London Fashion Week, The British Fashion Council, Cake and Bake Show and The Dorchester. With a great reputation and many repeat clients, it’s little wonder that the girls are so in demand.